The UK’s largest trade event for architects and designers is back at Olympia in London this year, taking place over 21st-24th September. As the meeting place for business and design, 100% Design features a showcase of carefully curated brands across five sections and we are delighted to announce V4 Woodflooring’s return to the show. The commercial cornerstone event of the London Design Festival, visitors will experience the latest in interior design and innovation and our stand will feature some of our newest and most cutting edge wood products for home and commercial application. 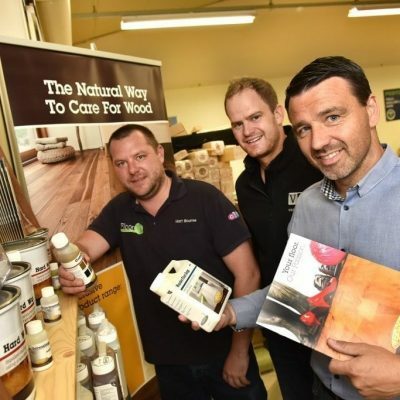 Products on display will include Deco, a collection of oak engineered wood flooring with ultra-modern colours and finishes for use in all markets. Also showcased on our stand is Zigzag. 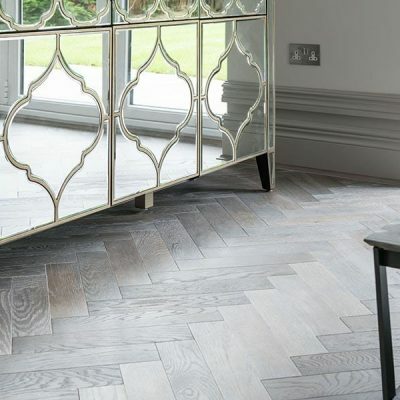 Our new Zigzag collection takes six of the most popular wood floor finishes from the Deco and Urban Nature wood plank collections, and applies these to engineered oak wood blocks which can be laid in a herringbone pattern to create modern parquet floors. We’ve also added two stylish, hard wearing grey woods to existing collections which are perfect for high footfall areas. Eiger Petit Grey Stained and Alpine Three-strip Oak Rustic Grey both offer modern urban tones and are finished with hardwearing lacquer for ultimate durability. Finally you can experience first-hand our new Panneau wooden wall panels. These architectural decorative high-end panels are ideal for wall coverings and furniture applications, based on the concept of creating art with woods of various origins. The ultra-contemporary panels are available in a range of colours and patterns made from reclaimed and recycled timber, bringing the natural beauty and texture of real wood to easy to install panels, which create feature walls and surfaces that become a piece of art in their own right. V4 Woodflooring look forward to showcasing our exciting new wood floor and wall collections alongside our hugely popular existing ranges. You’ll find us on stand E276 in Design & Build near the popular Forum where visitors can hear talks and Q&As from some of the industry’s leading lights. Find out more about the show and register to attend here.